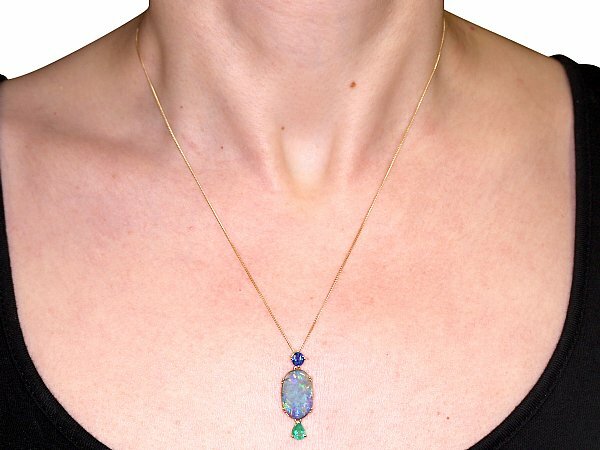 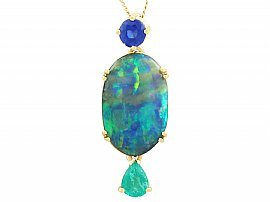 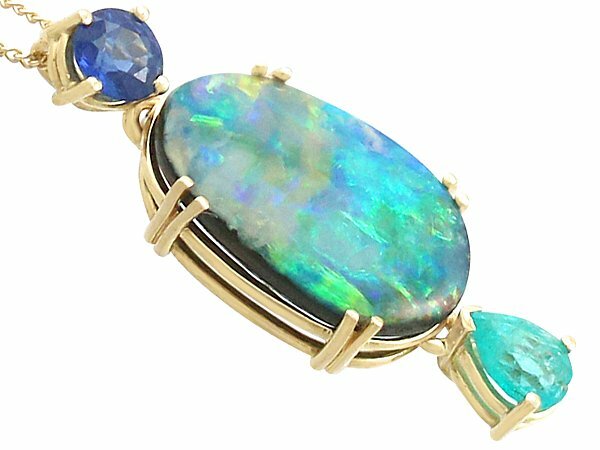 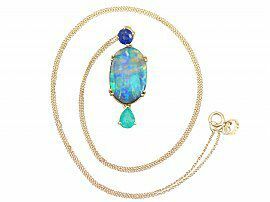 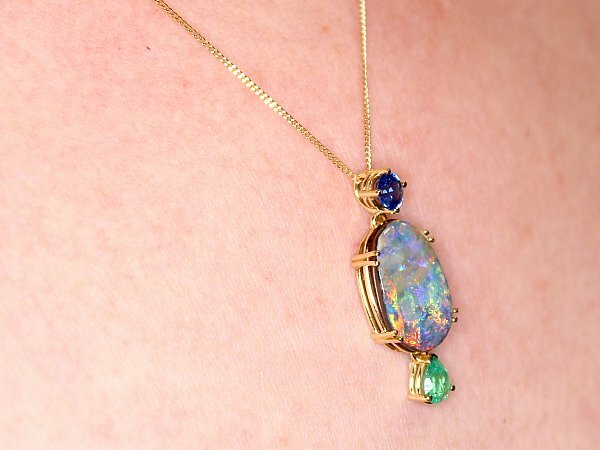 This fine and impressive vintage boulder opal pendant has been crafted in 18 ct yellow gold. 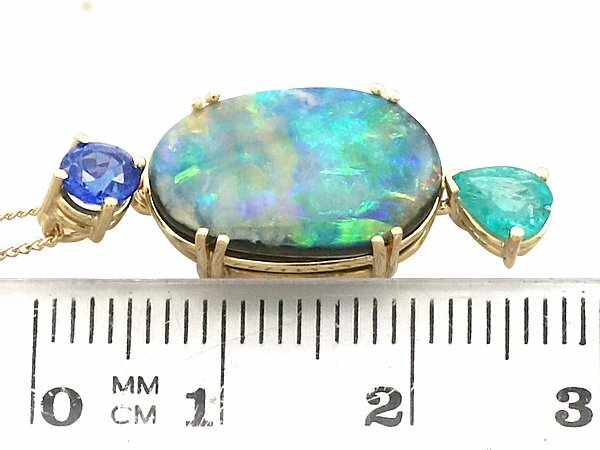 The pierced decorated frame is ornamented with a feature 4.06 ct boulder opal. 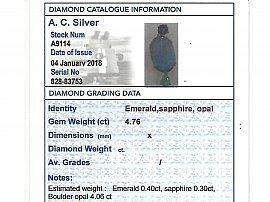 An individually claw set 0.40 ct pear cut emerald drop suspends from the lower border of the design. 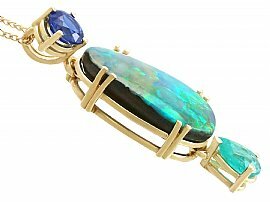 The feature opal articulates from the lower border of a four claw set 0.30 ct round mixed cut blue sapphire. 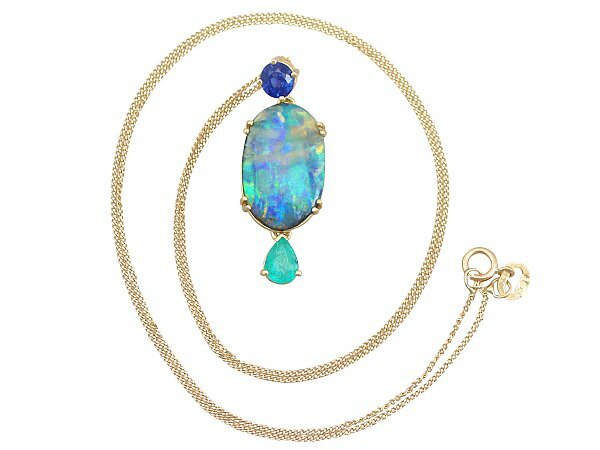 The pendant suspends from a contemporary 18 ct yellow gold 18" dine curb chain via two integrated ring loops to the reverse of the sapphire setting. 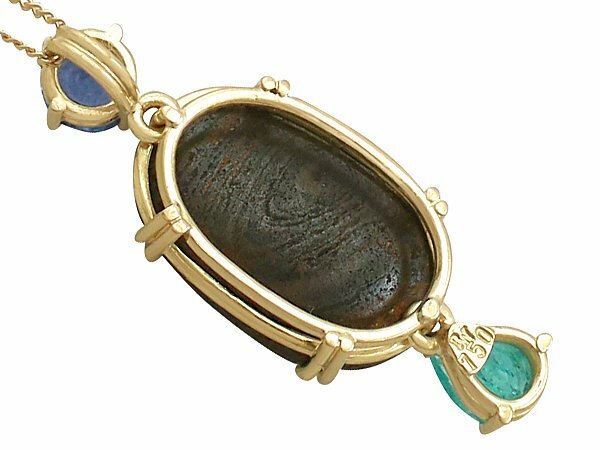 The chain secures with a conventional spring loaded bolt ring fastening. 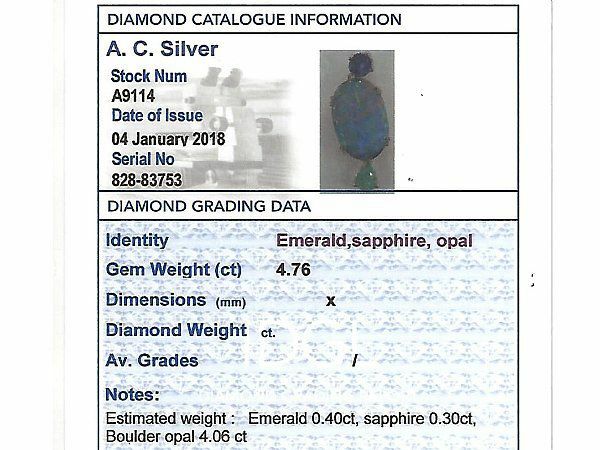 The emerald setting is hallmarked to the reverse with the maker's mark 'RW' and the 18 ct gold fineness mark (750). 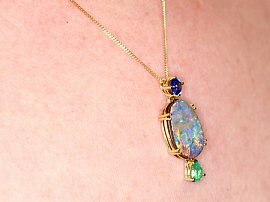 This vintage opal pendant is supplied with an independent diamond grading report card. This vintage 1980's gemstone pendant is fine quality set with an impressive boulder opal, emerald and sapphire. The pendant is a very good gauge of gold and is in excellent condition with clear hallmarks to the reverse.